Sheryl Sandberg takes a great book and makes it better. Sheryl Sandberg beats the drum for women in power and leadership. I am glad hers is the staccato rhythm of a drum line and not one loud bang on the gong. I got her message and so much more: insight on leadership, parenting, making double income households work, and what being a boss looks like from those who are not "the boss." But I want to come back to her central theme: empowering women in the workforce. Sandberg writes, "Whatever this book is, I am writing it for any woman who wants to increase her chances of making it to the top of her field or pursue any goal vigorously. Sandberg opened my eyes to issues and challenges women face that I never considered. I bought several copies for women on our staff. They read read it and gave me some insightful and helpful feedback. 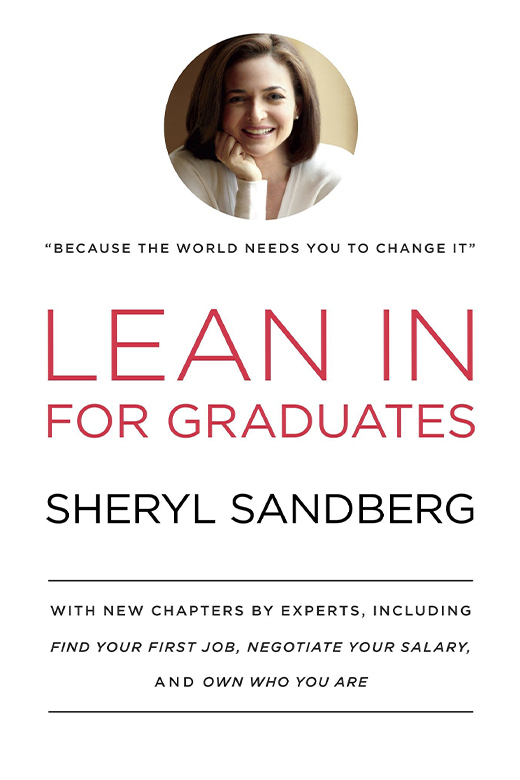 In Lean In For Graduates, Sandberg expands her work by incorporating stories from men and women as to how they have "leaned in" and the impact it has made. 1. The personal stories: Lean In For Graduates takes you out of the realm of theory and into the worlds of others; how all this "lean in" stuff works out in real life. 2. Feedback: "When you are not selected for a position, try to find out why. One method is to ask your interviewer to provide suggestions for you on future interviews." (page 294) Perhaps this is a no-brainer, but apparently not. Great help her for becoming a Feedback Ninja. 3. The Wage Gap: The wage gap between men and women in the United States has not improved in the last decade. The average woman has to work almost twelve years longer to earn the same amount as her male counterpart." (page 303) It is one thing to know this, it is another to know what to do with it. Later in the chapter Sheryl gives very practical steps for overcoming this disparity. 4. Find your first job: Mindy Levy's insight (Chapter 15, "Find Your First Job") and practical steps are great for first-timers as well as for people on their second or third job hunt. 5. The Inner Voice: I appreciate the emphasis on the "inner voice," and the role it plays in grappling with identity and our everyday feelings (see Chapter 14, "The Inner Voice"). That said, coming from a Christian worldview, my problem is when my inner voice gets too "intertwined with racking up accomplishments and earning praise" as is noted in the text. I need God's Voice reminding me of who I really am, drowning out my doubts, and helping me reset for another day with his strength that far exceeds my own. I appreciate the fact that Sandberg, despite highlighting the inequality, still prioritizes hard work. She writes, "The best thing you can do to increase your compensation is to excel; your job performance will matter a lot more than even the best negotiation techniques." (page 315). With 40,000 Lean In Circles in 170 countries, Sheryl Sandberg has helped put wind in the sails for women's equality in the workforce. We're all better for it.